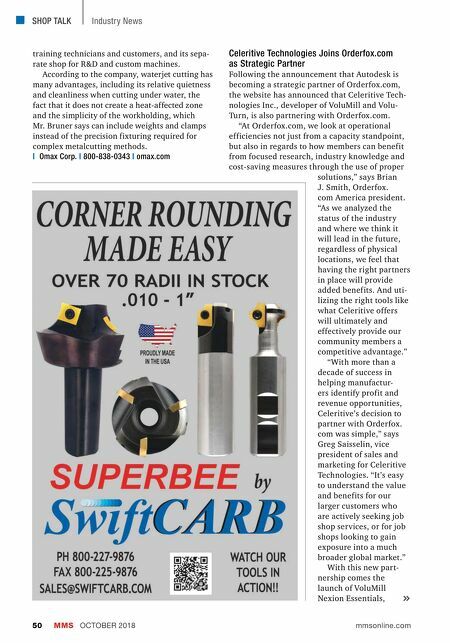 Ergonomic design allows for easy use when measuring larger tooling. Larger tool capacity & the ability to capture a multitude of data about the cutting tools. Large HD screen & user friendly interface allow operators of all skill levels to set tooling. komaprecision.com info@komaprecision.com 1.800.249.5662 New state of the art tool management software. Complete with PC on board, and full capability to communicate directly with CNC machines. Tool wear & complex geometric features are easily measured & exported in a variety of formats. 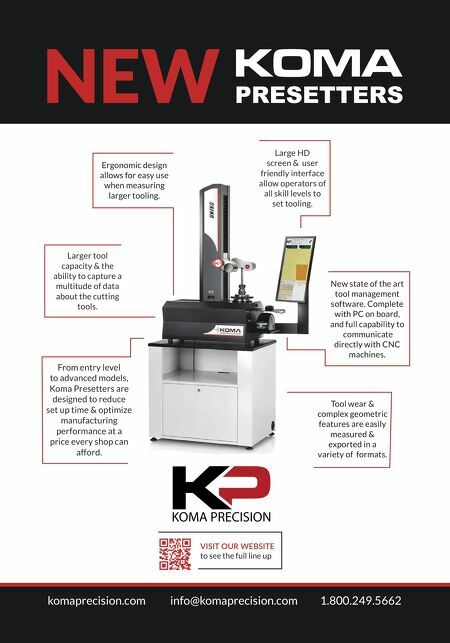 VISIT OUR WEBSITE to see the full line up From entry level to advanced models, Koma Presetters are designed to reduce set up time & optimize manufacturing performance at a price every shop can afford.